Leaving Lourdes – 6 June. Reflecting on Lourdes, it is a nice place but the religious aspect to it overpowers everything else. Every other shop is selling stuff to do with the apparitions and cures, there are coaches clogging up the town most of the day trying to drop people off at loads of hotels, and, as we have found, the weather can be really rubbish. Of course people go to Lourdes for their own reasons, but for the casual tourist with no religious convictions, maybe not worth a special visit. 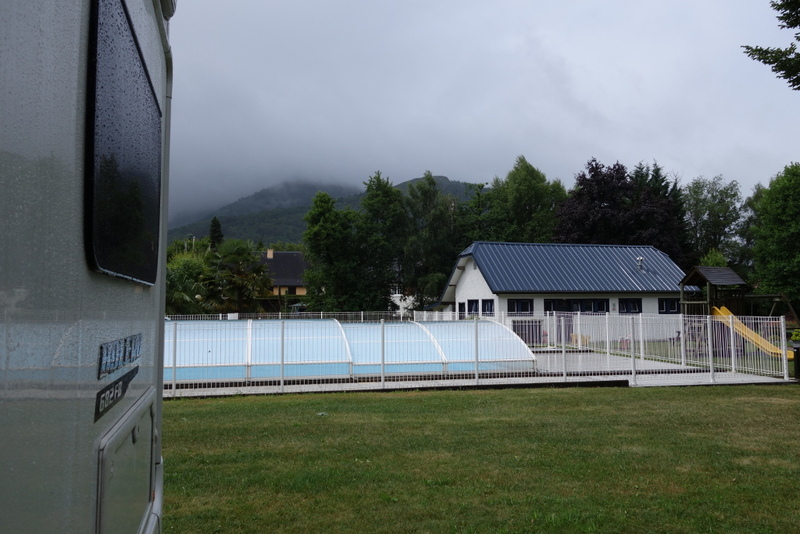 More rain in Lourdes, hills covered in cloud. This entry was posted in France - Spring 2017 on June 6, 2017 by Kenny Mitchell.